Harold's Hotel Cebu located at Gorordo Avenue Lahug Cebu City is just one of the choices for guests with either business or leisure reasons in Cebu. With 90 guestrooms, 36 are superior rooms and 54 deluxe rooms to 9 deluxe suites and Buffet and A la carte restaurants, H Cafe in the ground floor and a resto bar at the hotel roof deck. Unilever Food Solutions Sooo Pinoy Food Trip chooses Harolds Hotel H Cafe to be part of the campaign to showcase cebuano food innovations that they do. Harold's Hotel Fish Escabeche is cooked with ginger, green & red bell pepper, ginger, spring onions with tiny shrimps (shrimp fritter) and instead of rice, mashed sweet potato is served vis-a-vis with the garupa Escabeche. 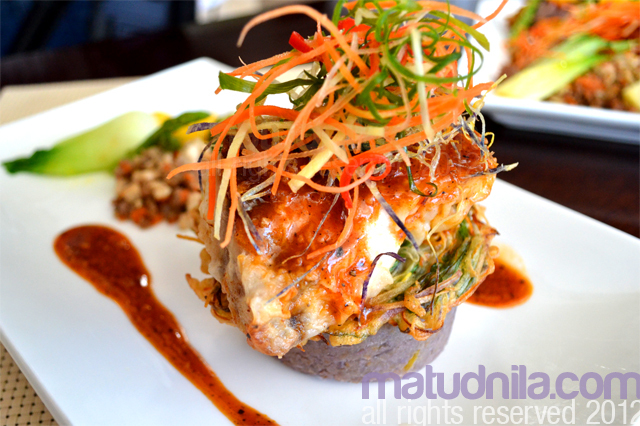 Escabeche has been part of Cebuano cuisine since the island is sorrounded by rich waters of Visayan seas. H Cafe Beefsteak Cebuano, a marinated slice of tenderloin in calamansi, soy sauce, black pepper and onions. 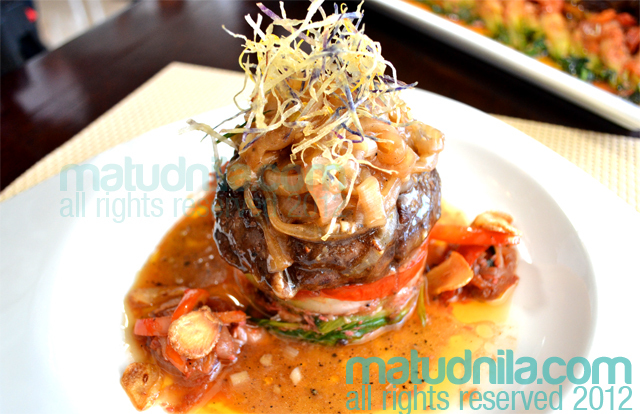 The beef is best served in enough tenderness and Hs Cafe style of granishing with caramelized onions, bagoong or shrimp paste (hipon in bisaya), tomato, garlic, crispy sweet potato and chinese pechay as its based. Chef Dionesio Delos Reyes of Harolds Hotel H's Cafe presented to UFS Sooo Pinoy Campaign his culinary delights Garupa Escabeche and Beefsteak Cebuano. The goal of UFS Food Trip is to promote Filipino dishes especially in the regions and countryside. 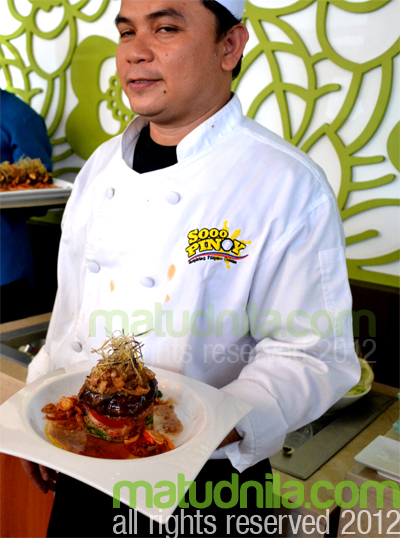 To know more about Pinoy regional culinary delights, liked the Sooo Pinoy page on Facebook or follow @SoooPinoy on Twitter. 0 comments: on "Sooo Pinoy Food Trip Cebu: Harold's Hotel H Cafe Restaurant"